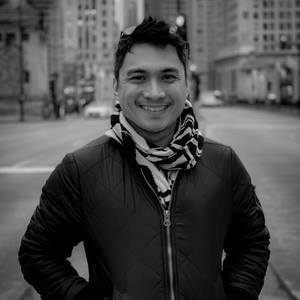 Kennan del Mar was born in the Philippines but now lives in Chicago, Illinois. He’s a self-taught artist with no formal art background. However, based on the work he puts out, no one would ever be able to guess. Art has always been a part of him, deeply rooted. His work is part of discovering who he is—and perhaps more important, who he is becoming as an artist. Influenced by his passion for design particularly in interior and architecture, he believes that he can create incredible change—in styled and inspired spaces—through his art. None that I am actively participating at. But I try to keep my website, kennandelmar.com, as updated as possible. None. But I try to keep my website current with my current works as possible. And using saatchiart.com as a platform to showcase what I can do and show to people who share the same love for art.